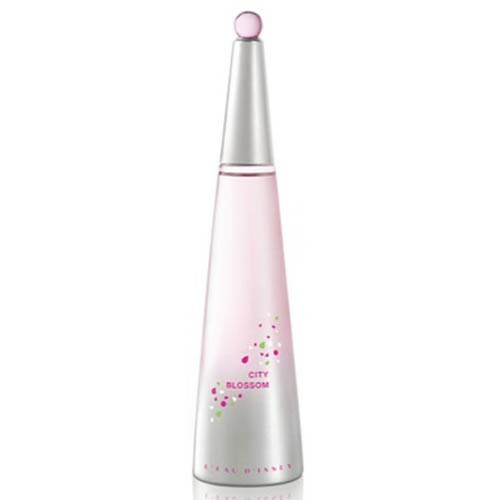 L'Eau d'Issey City Blossom is feminine and fresh floral - woody fragrance, signed by Alberto Morillas. The top notes include citrus accords, pink pepper and calone. Its floral heart comprises of white petals such as osmanthus, freesia and magnolia, while the base hosts natural white Virginian cedar, white musk and ambrox.. It is recommended for casual wear.